Home » Tamil » News » Actor Nikhil deletes controversial tweet after taking a dig at Vijay Deverakonda? Though he has not mentioned Vijay's name anywhere in the tweet but fans have assumed it to be for the NOTA actor. 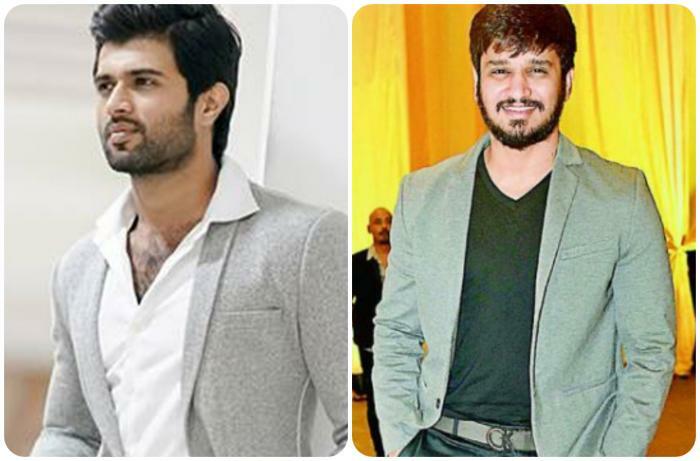 Vijay Deverakonda recently took to social media to speak up about his recently released political thriller, NOTA. The actor surprised everyone with an open letter after his Tamil debut film failed to live up to audience expectations. Though the film received a positive response from the audience and critics, it could not make it big at the Box Office. The political thriller lost its charm just two days after the release. In the open letter, Vijay Deverakonda said that next time he will take care and will not disappoint his fans. However, it looks like his post has not gone down well with young actor Nikhil. Though he has not mentioned Vijay’s name anywhere in the tweet but fans have assumed it to be for the NOTA actor. We wonder what Nikhil is up to, and if he is threatened by Deverakonda’s popularity. Well, Nikhil later deleted the controversial tweet for the reasons best known to him. VD needs to grow up and stop behaving the childish way. Every actor faces ups n down. Learn from your seniors kids.